Located across Northern Ireland - your new club is closer than you think. Northern Ireland Tai-Jutsu has clubs in Belfast, Comber, Carryduff, and Downpatrick. Visit our club pages for more information and register for your first class. Thousands of journeys started in the clubs below. Take your first step and discover your own. Located just outside Botanic Gardens on the Stranmillis Embankment in South Belfast, Queens Tai-Jutsu operates out of the Queens Sport, Physical Education Centre. Open to anyone over the age of 18 (including non-students), the club is kept vibrant and fun with focus on hard work and dedicated practice to core technique. 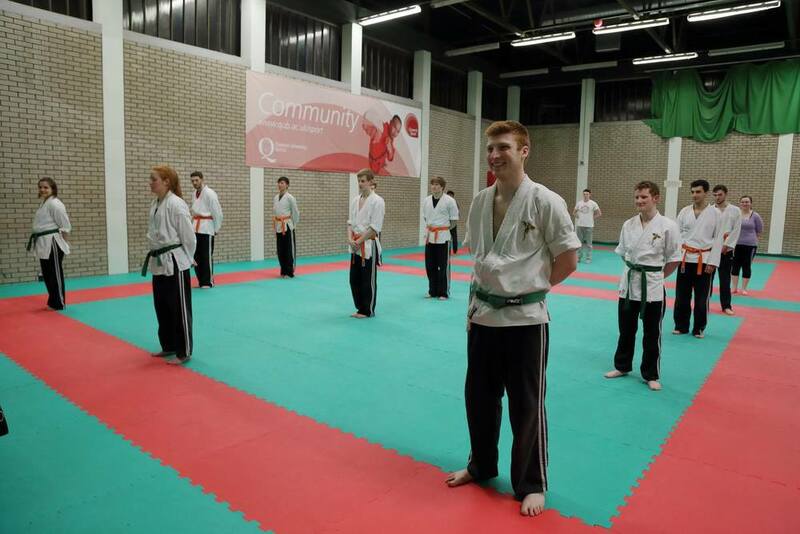 A fun, hard working class - Comber Tai-Jutsu can be found in Comber Leisure Centre and runs two classes a week catering for both senior and junior students. Come down on a Saturday morning to train with some of the most senior instructors and students in the association. Take a trip out to the Loughmoss Centre just outside Carryduff on a Tuesday evening to meet the Instructor Team and take part in our newest Tai-Jutsu club. Both children and adults alike will be motivated and engaged. Tai-Jutsu Carryduff trains hard and makes sure that everyone has an enjoyable experience. One of our oldest Tai-Jutsu classes, come down on a Wednesday evening to Downpatrick Leisure Centre and join in with the Senior Class, or bring along the under 16s to learn traditional Tai-Jutsu, core martial art principles and self defense.